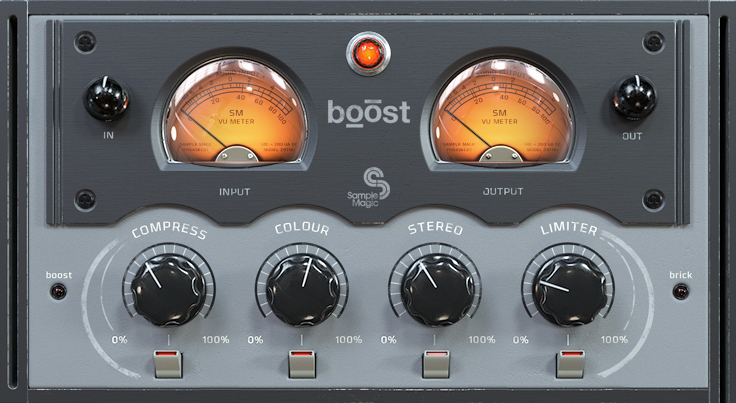 Sample Magic has been releasing some of the most interesting and useful plug-ins on the market today, and now they have another one for us, Boost. With Boost you can take an idea from start to finish using just 4 simple smart controls, Compress, Colour, Stereo and Limiter. Nothing could be easier than adjusting these four parameters until you have the mix sounding the way you have been dreaming about. Sample Magic’s Stacker is also on promo at $59 instead of the normal $99 list price. Boost is available at the special introductory price of $59.99, instead of $109 (MSRP) today on the DontCrack Store. This entry was posted in Audio Software, DontCrack, Plug-ins, Promotions and tagged Boost, Compressor, Limiter, Sample Magic Boost, stereo widener. Bookmark the permalink.